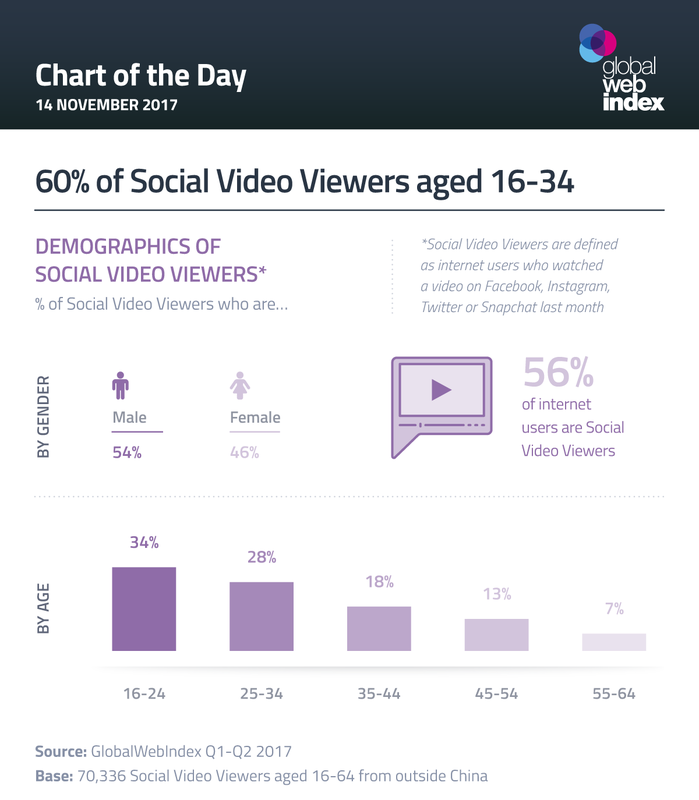 A new study by Globalwebindex reveals that over half of Internet users are now watching videos on social media (particularly on Facebook, Twitter, Instagram and SnapChat). Younger Internet users are by far the most enthusiastic – around 60 percent of viewers are aged under 34, with a third coming from the 16-24 age bracket. Some context for this is provided by the fact that these younger consumers are spending the longest on social networks/services each day, and are also more likely to be multi-networkers (increasing the chance of engaging with video). Take a look at below chart for more insights.